Five women. One question. What is a woman for?In this ferociously imaginative novel, abortion is once again illegal in America, in vitro fertilization is banned, and the Personhood Amendment grants rights of life, liberty, and property to every embryo. In a small Oregon fishing town, five very different women navigate these new barriers alongside age-old questions surrounding motherhood, identity, and freedom.Ro, a single high school teacher, is trying to have a baby on her own, while also writing a biography of Eivor, a little-known nineteenth-century female polar explorer. Susan is a frustrated mother of two, trapped in a crumbling marriage. Mattie is the adopted daughter of doting parents and one of Ro's best students, who finds herself pregnant with nowhere to turn. And Gin is the gifted, forest-dwelling herbalist, or "mender," who brings all their fates together when she's arrested and put on trial in a frenzied modern-day witch hunt.Red Clocks is at once a riveting drama, whose mysteries unfold with magnetic energy, and a shattering novel of ideas. 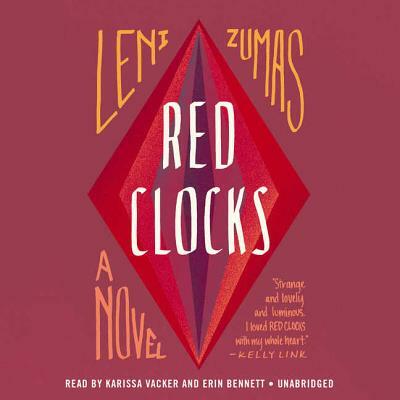 In the vein of Margaret Atwood and Eileen Myles, Leni Zumas fearlessly explores the contours of female experience, evoking The Handmaid's Tale for a new millennium. This is a story of resilience, transformation, and hope in tumultuous-even frightening-times.